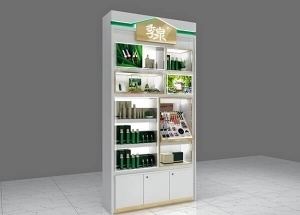 This cosmetic wall display is used to display perfume,skin care product,makeup in perfume shop,makeup shop.The display stand is made by wooden(MDF),tempered glass,metal fixture,LED lights,light box,etc. 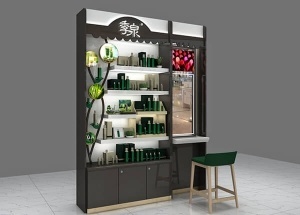 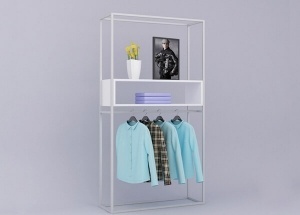 This cosmetic wall shelf is used to display perfume,skin care product,makeup in perfume shop,makeup shop.The display stand is made by wooden(MDF),tempered glass,metal fixture,LED lights,light box,etc. 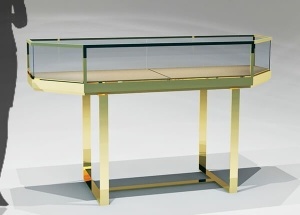 This gold jewelry display case is a corner showcase, made for luxury store. 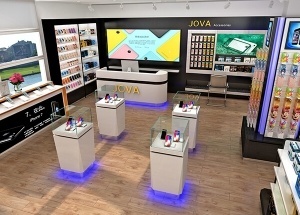 we do retail jewelry showcase in high end. 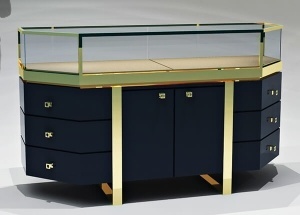 This gold jewellery showcase is a jewelry corner showcase display, made for luxury store. 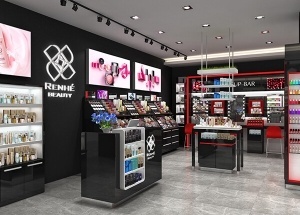 we do retail jewelry showcase in high end. 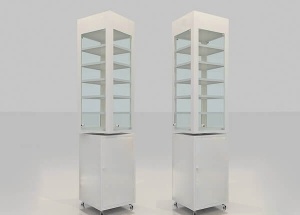 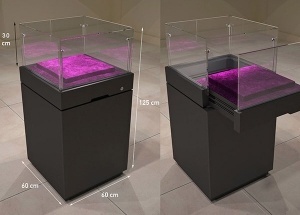 This glass jewelry display were a jewelry pedestal, glass top, made by MDF with white or black baking finish.